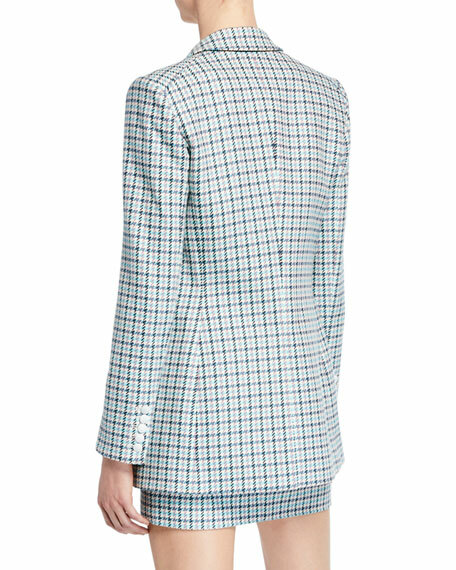 Veronica Beard "Moroso" dickey jacket in houndstooth check. AMO Denim "Rosie" camo-print jacket. Spread collar; button front. Long sleeves. Chest patch pockets. Relaxed fit. Peplum hem. Linen/Tencel?? lyocell. AMO Denim "Rosie" camo-print jacket. Spread collar; button front. Long sleeves. Chest patch pockets. Relaxed fit. Peplum hem. Linen/Tencel?? lyocell. Made in USA of imported material. Model's measurements: Height 5'10"/177cm, bust 33"/84cm, waist 25.6"/65.2cm, hips 35.8"/91cm, dress size US 2-4/FR 34-36. 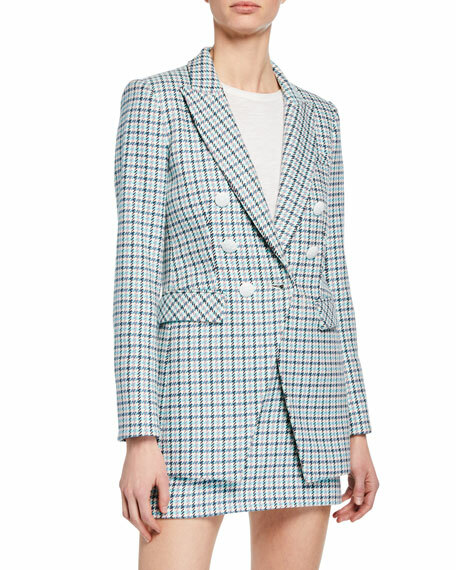 Escada metallic-wool blend tuxedo jacket. Satin peak lapels. Jeweled one-button front. Long sleeves. Front flap pockets. Tailored fit. Virgin wool/nylon. Escada metallic-wool blend tuxedo jacket. Satin peak lapels. Jeweled one-button front. Long sleeves. Front flap pockets. Tailored fit. Virgin wool/nylon. Made in Germany. Model's measurements: Height 5'10"/177cm, bust 33"/84cm, waist 25.6"/65.2cm, hips 35.8"/91cm, dress size US 2-4/FR 34-36. 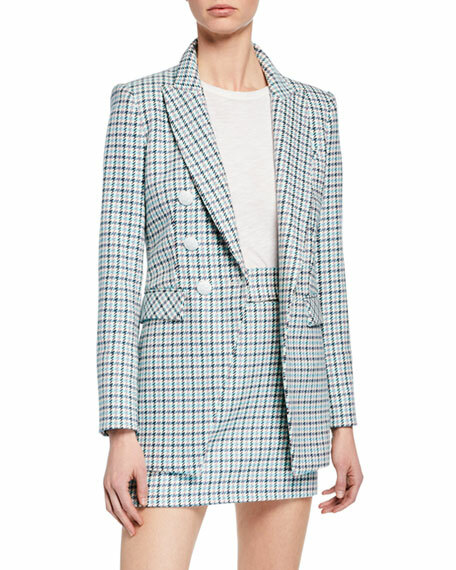 La Prestic Ouiston "Tom Sawyer" multi-printed blazer in silk. Notched lapels; off-center dual-button front. Long sleeves; frayed edge; button cuffs.